Uninstalling and reinstalling VSee can solve a variety of mysterious issues. 2. When it brings you to the main menu, click on the search icon in the upper right-hand corner (outlined in red below). 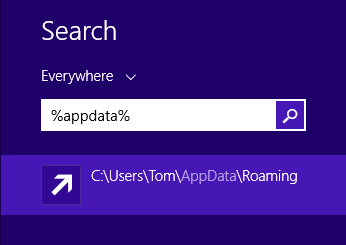 You should see a Roaming folder appear as an option. Click on it. 4. 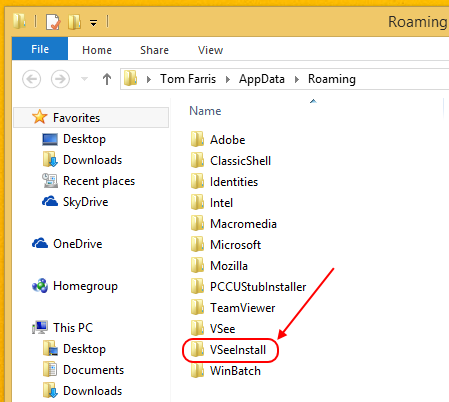 Open the folder that you find, and look for a folder called VSeeInstall. This article was last reviewed by our Support team on May 2, 2016.